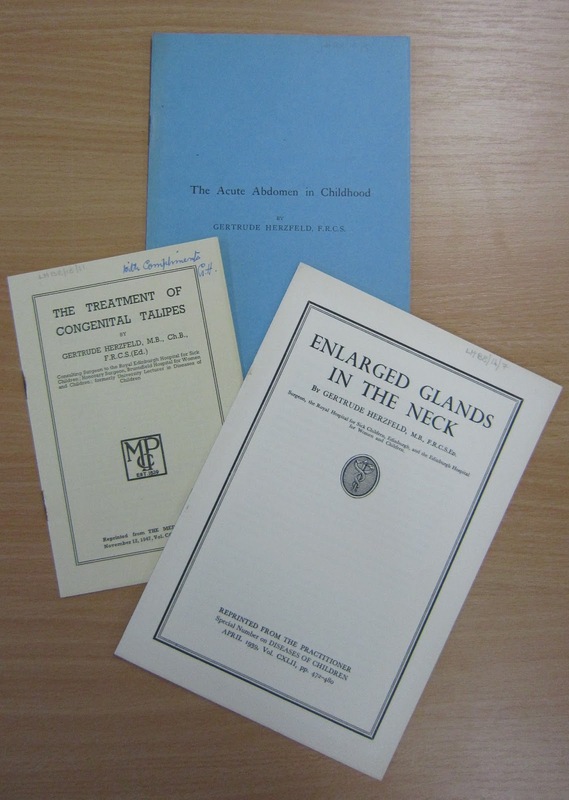 LHSA recently received an interesting enquiry linked to our collections from the Craigleith Military Hospital (situated on the grounds of the present-day Western General Hospital). 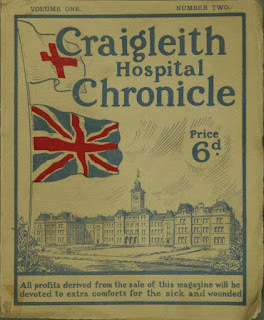 The enquiry relates to the Scottish poet and solider, Hamish Mann, who was heavily involved in the hospital’s magazine, The Craigleith Chronicle. Mann often wrote powerful depictions of the horrors of war, or amusing skits to raise the morale of his men, and sent them back to The Chronicle to be published under the pen-name ‘Lucas Cappe’. 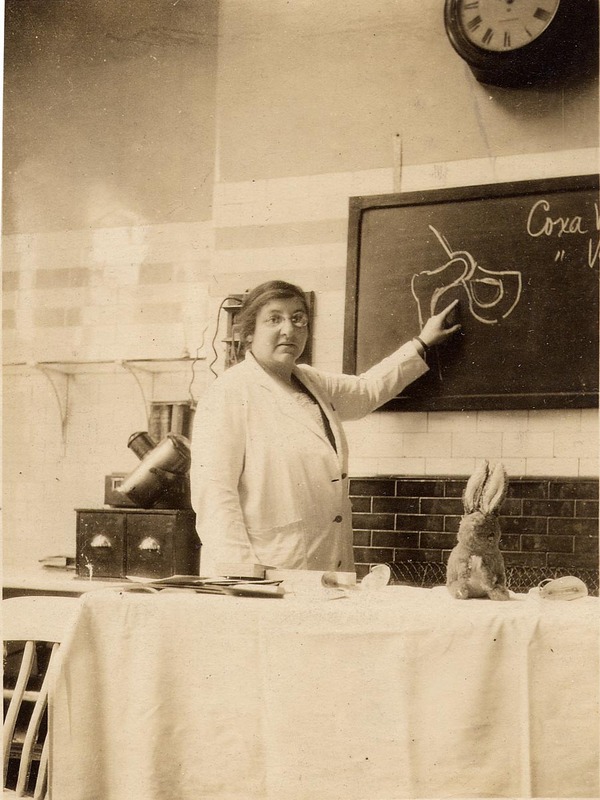 Mann’s role as a volunteer at the hospital meant that his life and works were unknown within the collection until the recent enquiry. 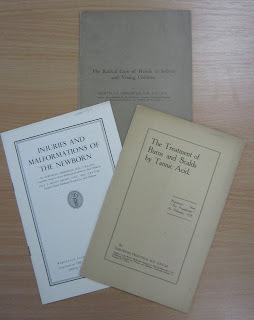 However, approaching the centenary of Armistice Day in 1918, Mann’s writings and tragic death continue to reveal important insight into the devastation caused by the First World War. 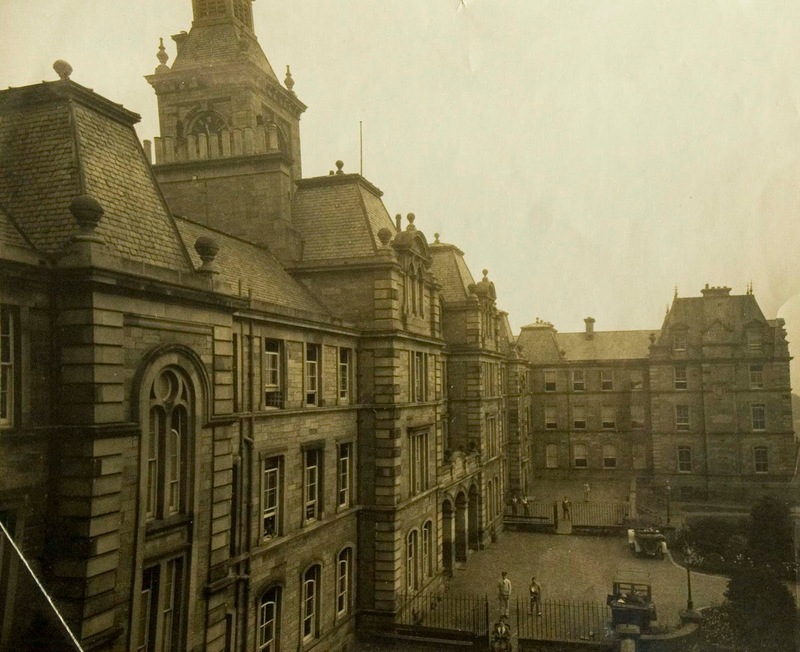 Alexander James ‘Hamish’ Mann was born in Broughty Ferry in April 1896, the youngest of five children. He was educated at George Watson’s College in Edinburgh and subsequently under home tuition, due to Cardiomyopathy (an enlarged heart), a condition that kept him bedridden. On the outbreak of war in 1914, Hamish was 18 years old. At this stage there was no conscription, and men who wished to enlist had to wait until their 19th birthday. 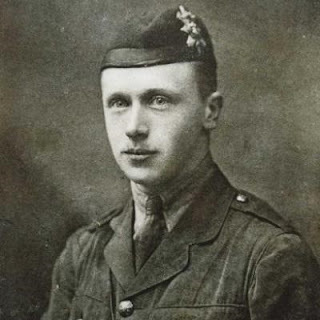 Keen to contribute to the war effort, Hamish volunteered at Craigleith Military Hospital, where he co-edited The Craigleith Chronicle. 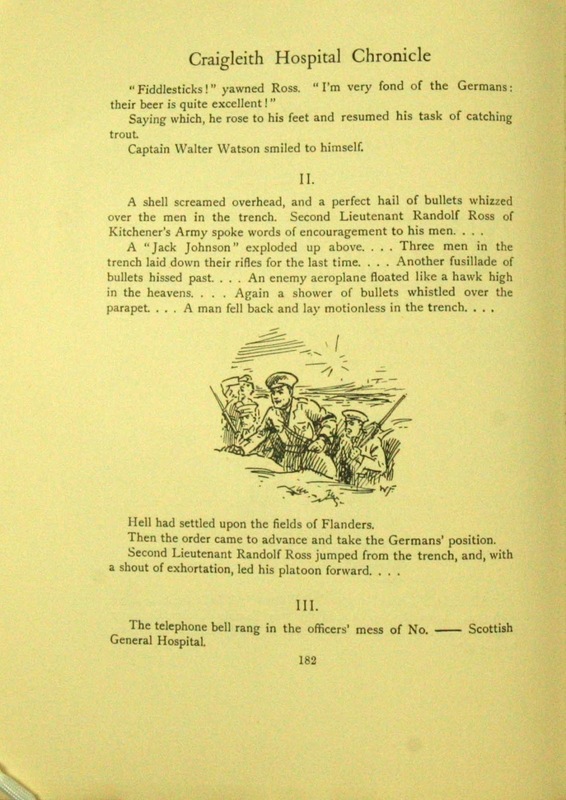 Mann began his officer training in July 1915, and was drafted to France in August 1916, joining the 8th Battalion Black Watch near Bethune. It seems that Hamish did not disclose his heart condition upon enlistment. He fought in several battles of the Somme, leading his men into battles and on long marches, despite his heart condition. Hamish Mann died on the 10th April 1917, five days after his 21st birthday following being mortally wounded at the Battle of Arras. His parents collected his poetry, and published it as A Subaltern’s Musings in 1918. 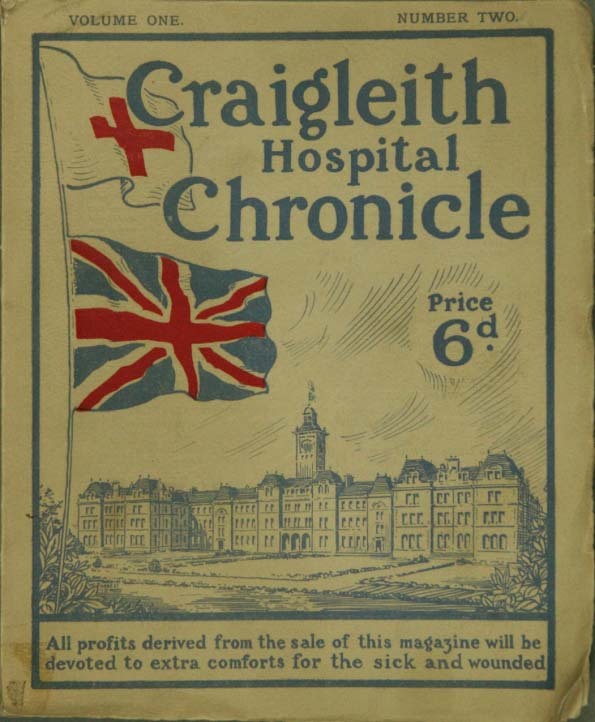 The Craigleith Chronicle began publishing volumes in 1914 and continued producing magazines until the end of the war. 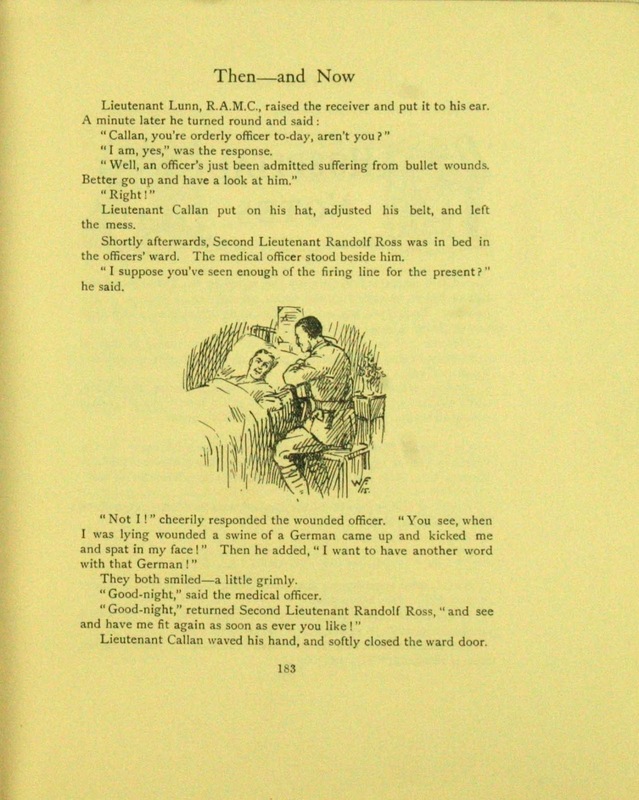 The Chronicle detailed the day to day lives of those at the hospital and contained feature articles sent from troops fighting overseas. The Chronicle gives important insight into contemporary medicine, hospital management and personal accounts of the nature of war. The juxtaposition of harrowing accounts of warfare and satirical writings, alongside first-hand insight into war effort at home and overseas, seems to have proved popular among The Chronicle’s ever-growing subscription base. 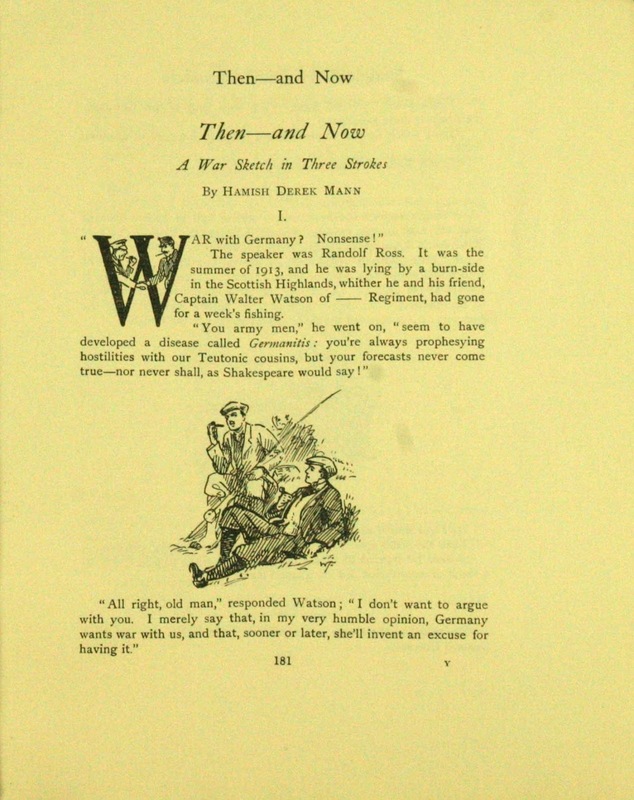 Hamish Mann’s works are woven throughout The Chronicle’s pages until his death. 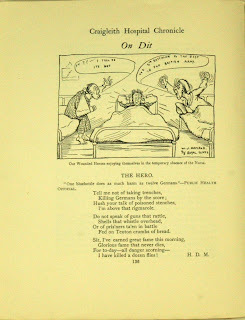 A particularly emotive poem written under his pen-name was published in the August 1916 edition. 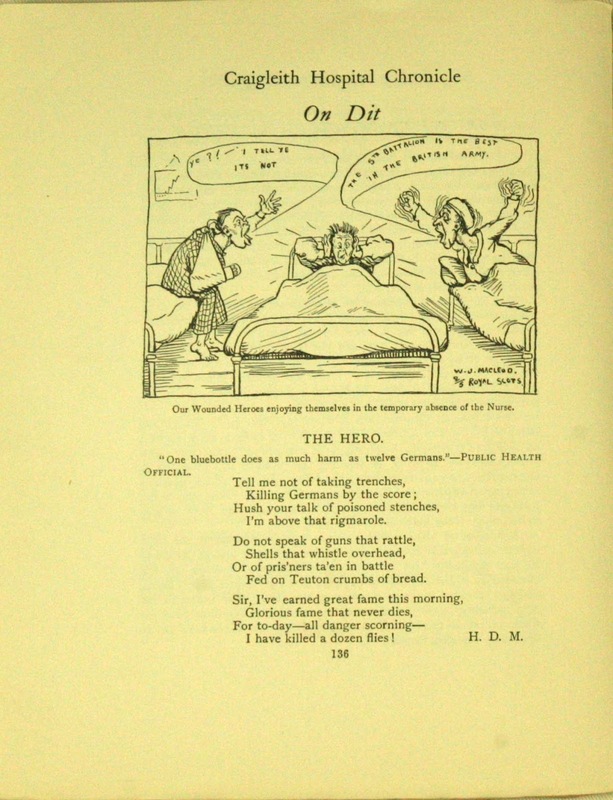 ‘The Digger’, highlights the unglamorous reality of war on the Western Front and contrasts Mann’s earlier light-hearted works published during his time volunteering. If you'd like to learn more about Hamish Mann, our enquirer will be bringing out a book about his life and writings later this year, so we'll keep you posted!